Tenant Improvements: we can remove, clean and store your blinds or shades while improvements are being done. When completed we will return and install your clean blinds. New Construction: our experience and flexibility are your greatest asset. Construction schedules slip and we do our best to adjust to them and maintain contact during construction. 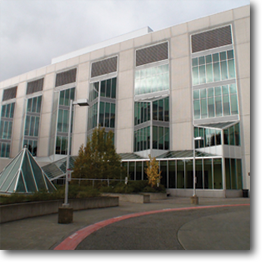 Numerous corporate office buildings, medical and professional buildings throughout King, Snohomish and Pierce counties. Hospitals: Shine A Blind installs, cleans and maintains blinds for several of the largest hospitals and health maintenance organizations in the greater Puget Sound region. Major law enforcement agency: We install new blinds and/or sun shades as needed and do regular on-site cleaning. Washington State Ferry system terminals/offices: Install new blinds as needed and do regular on-site cleaning. Department of Ecology: Regular on-site blind cleaning and maintenance. School districts: Regular on-site blind cleaning and maintenance. County Fire District: Regular on-site blind cleaning and maintenance. We have two fully-equipped trucks with background-checked technicians to serve your cleaning and installation needs. 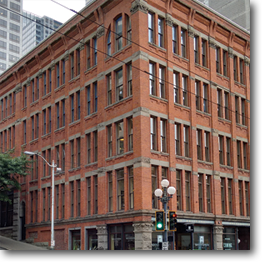 Call us at 425-771-7999 to talk with us about how we can help you with your commercial project. As an alternative, you can remove your blinds and drop them off at our office in Lynnwood where we will clean them and provide an inspection and minor adjustments where needed. Our cleaning prices can be seen HERE. With our new office and showroom in Edmonds we now offer property managers the space to store large numbers of blinds for our commercial customers doing Tenant Improvements. We remove the blinds floor-by-floor, clean them and store them until you are ready to have them re-installed. We are happy to work with you to make your improvements project painless. Call us today at 425-771-7799 to discuss your specific needs.